Acting like containers, PDFs of version 1.7 and above can contain embedded files. PDF/A-2 allows you to embed other PDF files; PDF/A-3 allows you to embed (source) files in other formats such as Office documents. 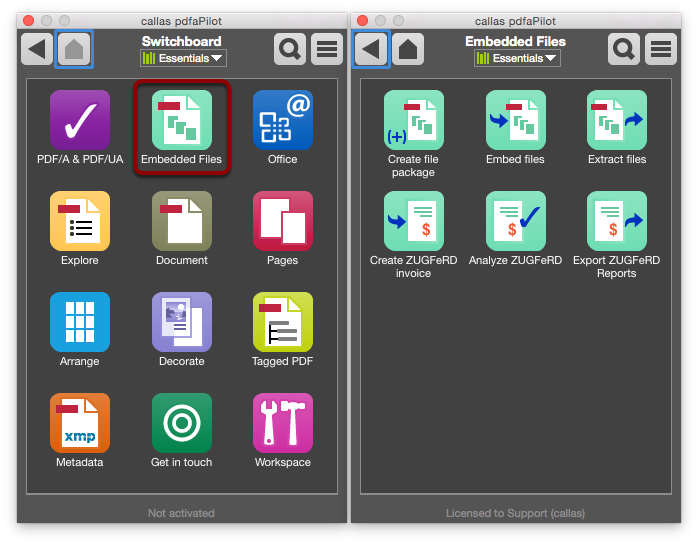 The Embedded files group lets you create file packages, embed files and extract files. 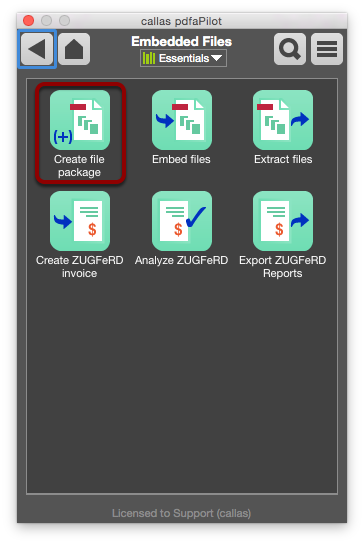 Embedded files are of interest for fields such as digital invoicing (ZUGFeRD). The Create file package Action lets you create PDF and PDF/A files which in turn act as containers for additional files. Click Create file package to open a settings dialog. Two options are available under Index page layout: Classic layout and User-defined layout. 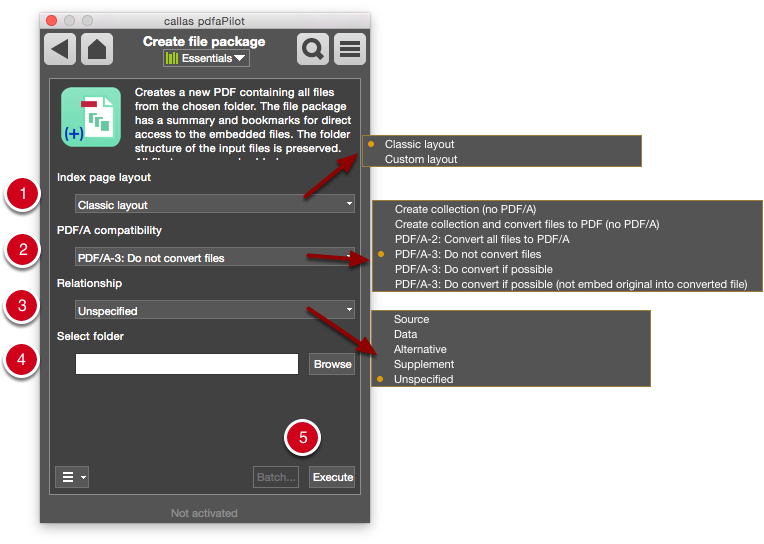 Under PDF/A compatibility, you can select the desired PDF or PDF/A version. The Relationship can only be set if you have selected PDF/A-3-level compatibility above. The options here are: Source, Data, Alternative, Attachment or Unknown. This defines the embedded file's “relationship” with the primary document. The output file can be set under Select folder by clicking Browse. Click Execute to start the conversion process.